Plant this spring and enjoy your first crop next spring! JERSEY GIANT is a high yielding all-male variety 30% more productive than other co-ed varieties. 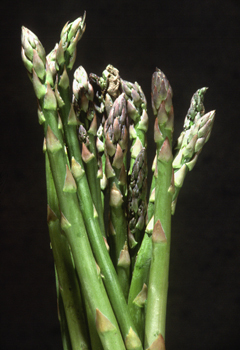 Only about 5% of plants are female which in the asparagus world is a good thing because the male spears are what are eaten. The females are undesirable because they produce seeds which germinate and develop into undesirable wild forms of asparagus.